shortly after receiving his Fellowship. At the annual meeting of the Australian Academy of Medical and Health Sciences which was recently held in Adelaide, the Academy announced the election of 12 new fellows from the University of Melbourne. 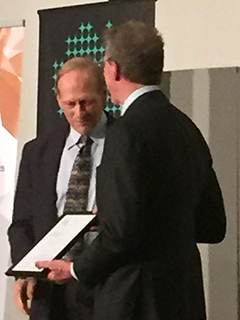 Receiving Fellowship of the Australian Academy of Medical and Health Sciences is recognition of the individual’s outstanding leadership and contribution to health and medical science in Australia. 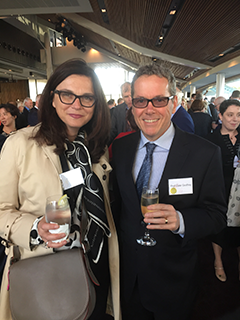 New Fellows were welcomed from around Australia, representing many disciplines within the health and medical sciences, including basic and clinical science, public health and health services, physicians, surgeons and allied health practitioners. Their contributions were to a diverse range of clinical and research areas, including chronic and infectious diseases, mental health, neuroscience, medical physiology and cancer research. Three of the 12 newly elected Fellows from the University of Melbourne are from our School and we have much pleasure in congratulating Professors Dale Godfrey, Cam Simmons and John Furness on their achievements. Professors Dale Godfrey is in the Department of Microbiology & Immunology which is an integral part of the Peter Doherty Institute. 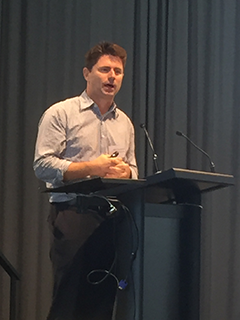 Professor Cam Simmons, also with the Department of Microbiology & Immunology, has a joint appointment with the Peter Doherty Institute and the Institute for Vector Borne Diseases at Monash University. His Fellowship recognises his research on Dengue at both these organisations. Professor John Furness has a joint appointment with The Florey Institute and the Department of Anatomy and Neuroscience. From more information on the Australian Academy of Health and Medical Sciences.